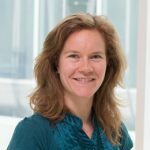 Caroline Roberts is Assistant Professor in Survey Methodology in the Institute of Social Sciences at the University of Lausanne. She teaches courses on survey research methods and questionnaire design for the MA in Public Opinion and Survey Methodology, and quantitative methods for undergraduates. She has a PhD in Social Psychology and a MSc in Social Research Methods from the London School of Economics and Political Science. 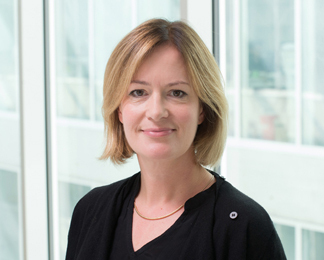 Prior to working at UNIL, she worked at the LSE, the UK’s Office for National Statistics, City University London, and Stanford University. Caroline Roberts is an expert in survey methodology, questionnaire design and the measurement of public opinion. 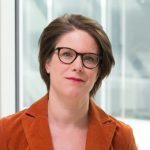 She has worked in the coordinating teams of a number of large-scale surveys, including the European Social Survey and the American National Election Studies, and has extensive experience in the design and implementation of methodological research investigating influences on the quality of survey data. Her research interests relate to the measurement and reduction of different types of survey error. Eisner Léïla, Clémence Alain, Roberts Caroline, Joost Stéphane, Theler Jean-Marc, 2019/02/01. Field Methods, 1 (31). Peer-reviewed. Sánchez Tomé Rosa, 2018., Université de Lausanne, Faculté des sciences sociales et politiques, Roberts Caroline (dir.). Roberts Caroline, 2016. dans Wolf C., Joye D., Smith T.W., Fu Y-C. (eds.) The Sage Handbook of Survey Methodology, Sage Publications. Roberts C., Vandenplas C., Ernst Stähli M., 2014/06. Survey Research Methods, 8 (2) pp. 67-80. Peer-reviewed. Non-response and measurement error in an online panel : does additional effort to recruit reluctant respondents result in poorer quality data ? Roberts C., Allum N., Sturgis P., 2014. pp. 337-362 dans John Wiley & Sons (eds.) Online panel research : a data quality perspective, Callegaro M.Baker R.Bethlehem J.Göritz A.S.Krosnick J.A.Lavrakas P.J..
Nicolaas G., Calderwood L., Lynn P., Roberts C., 2014., ESRC ; National Centre for Research Methods. Lipps O., Pekari N., Roberts C., 2013. (02), FORS. Roberts C., Lipps O., Kissau K., 2013. (01), FORS. Roberts C., 2013., ESRC ; National Centre for Research Methods. Roberts Caroline, Jäckle Annette, 2012/11. (27), Université de Lausanne, Institute of Social and Economic Research (University of Essex). Sturgis Patrick, Roberts Caroline, Smith Patten, 2012/09. Sociological Methods and Research, [En ligne] pp. 1-24. Peer-reviewed. Roberts Caroline E., 2010. pp. 195-214 dans Bulmer M., Gibbs J., Hyman L. (eds.) Social measurement through social surveys: An applied approach chap. 11, Aldershot: Ashgate Publishing. Sturgis P., Roberts C., Smith P., 2010. (M10/01), Southampton Statistical Sciences Research Institute. Jäckle Annette J., Roberts Caroline E., Lynn Peter, 2010. International Statistical Review, 78 (1) pp. 3-20. Peer-reviewed. Roberts Caroline, Eva Gilian, Allum Nick, Lynn Peter, 2010. (2010-36), ISER Working paper. Jäckle A., Roberts C., Lynn P., 2008. (08), ISER, University of Essex. Jowell Robert, Roberts Caroline E. (eds. ), 2008., London: Sage Publications. Roberts Caroline E., 2008. pp. xxii-xliv dans Jowell Robert, Roberts Caroline E. (eds.) Attitude Measurement, London: Sage Publications. Roberts Caroline E., 2007/10. PhD, London School of Economics, Gaskell G. (dir.). Jowell Robert, Roberts Caroline E., Fitzgerald Rory, Eva Gillian (eds. ), 2007., London: Sage Publications. Roberts Caroline E., 2007. (008) Methods Review Papers, ESRC National Centre for Research Methods. Jäckle Annette J., Roberts Caroline E., Lynn Peter, 2006. (2006-41), Institute for Social and Economic Research. Roberts Caroline E., Jäckle Annette J., Lynn Peter, 2006., American Statistical Association dans Proceedings of the Survey Research Methods Section. Peer-reviewed, Washington DC: American Statistical Association. Sturgis Patrick, Roberts Caroline E., Allum Nick, 2005. Public Opinion Quarterly, 69 (1) pp. 30-65. Peer-reviewed. Rickards L., Fox K., Roberts C.E., Fletcher L., 2004., London: TSO. Roberts Caroline E., Peay Jill, Eastman Nigel, 2002. International Journal of Forensic Mental Health, 1 (1) pp. 71-83. Peer-reviewed. Whitehead C.M.E., Stockdale J.E., Scanlon K., Roberts C., West K., 2002. (9), London School of Economics. Peay Jill, Roberts Caroline E., Eastman Nigel, 2001/06. Journal of Mental Health Law, 2001 pp. 44-55. Peer-reviewed. Morgan M., Roberts Caroline E., Powdrill P., 2001. pp. 19-35 dans Scott A., Lewis A., Lea S.E.G. (eds.) Student debt: the causes and consequences of undergraduate borrowing in the UK, Bristol: The Policy Press.